Few months back, I was looking for an Ice Cream maker. I was having trouble deciding between Cuisinart and Kitchenaid Ice cream maker. 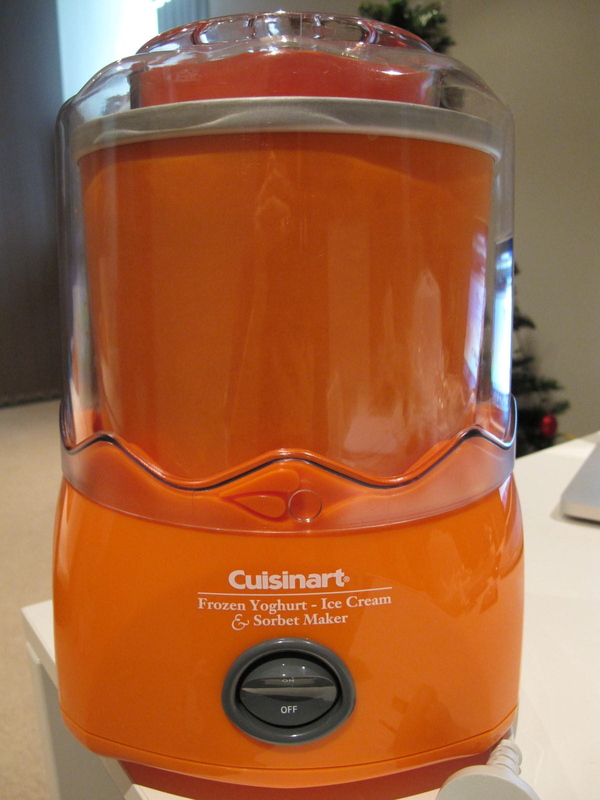 But after much thought, I am a happy owner of a Cuisinart Ice Cream Maker. I do not have any regrets at all choosing this over the Kitchenaid. 1) It's half the price of a KA Ice Cream maker. 3) There are 6 colours to choose from - Red, Orange, Green, Yellow, Blue and White. 4) It is easy to use and to store in the freezer. 5) Here are all the attachments that comes with it (the only heavy item would be the bowl itself). Hope this review helps you to decide if you're in a dilemma with which Ice Cream maker brands to choose from. I am also looking for an ice cream maker, and the cuisineart set you have here fits into my kitchen perfectly. Please, may I ask here did you get it, and how much ? YingandYang: Great! It's such a great machine! Sure, I got it from Peters of Kensington for AUD$79. I tried searching on their website (http://www.petersofkensington.com.au/Home/), but can't seem to find it, try ringing them up and find out on 9662 1099. But that's where I got it. How to make smooth Icing?